Sadaise Arencibía as Giselle. Photo by Quinn Wharton. Grettel Morejón and Sadaise Arencibía, principal ballerinas with the National Ballet of Cuba, danced the title role of Giselle in the company's performances on June 6 and 8 at the Saratoga Performing Arts Center in upstate New York. SPAC was the final stop on a U.S. tour that took the company to Tampa, Chicago and Washington, D.C. Morejón's was an intimate, caring, and protective Giselle, placing complete confidence in Albrecht before he becomes her deepest disappointment; Arencibía's was a spectral capture, as present as the Lilac Fairy in Sleeping Beauty, but also the vigilantly mad witness to her own downfall. To say that both interpretations are as distinctive as they are mesmerizing might sound like a false equivalency. Yet, Morejón and Arencibía demonstrate that two vastly different articulations can wax both genuine and stunning, with the same steps to the very same music. I knocked on their shared dressing room door at SPAC last week, and the welcome from each was as warm as their enthusiastic and forthcoming responses to my questions. Has the role of Giselle changed over the years since Alicia Alonso created it for the Cuban National Ballet? If so, how? Sadaise Arencibía: The essence is the same. The style is very well-defined. Over the years, however, there have been revisions as those who dance the key roles change from generation to generation. For example, arms might change slightly, because each dancer is different and interprets the role in her own way, according to her personality. Each mad scene is a response to our individual feelings. Even me, I do things differently every time I perform. The interpretation can't be rigid. Grettel Morejón: Each time a younger generation dances it, they do so as they live and as they think. Ballet is what you create with your intelligence and how you think of and see life. Young people have a lot to say in Giselle. That is not to say that what they bring is better or worse, but it has changed, and our way of moving is different. The style is the same, but you can see small differences from 20 years ago and now. There are even differences between Sadaise and me, reflecting the epoch during which each of us has been dancing. Of the ballet masters who have coached you, who have you relied on most to transmit the authentic version? SA: First of all, Alicia Alonso. We also had the privilege of working with former prima ballerina Josefina Méndez when she was alive. From her in particular, I learned the style, the elegance; the way in which she moved was beautiful. GM: María Elena Llorente is the one I have relied on most. She picks up on the details of your personality in a particular kind of way, and those which correspond most saliently to classical ballet. Each moment has its own particularity. In the romantic style, the back has to be curved, with the arm held in a soft curve, the neck at an angle that lets the audience see its most responsive sinews and tendons. Sadaise, you have also danced the role of Myrtha. What is involved in moving from the role of Giselle to that of Myrtha in preparation, tempo and capturing the character? Do you ever imagine that Myrtha was once like Giselle? SA: Sometimes, only with a different personality. The Queen of the Wilis is stronger. Most prominent in Giselle is her character, a love for Albrecht that is pure, free of anything external. The way Giselle moves in Act II tells you that she now belongs to Myrtha, but is conflicted by her feelings for Albrecht. Her first consideration is to save him from death. Arencibía and artists of the Cuban Nation Ballet in a 2016 performance of "Giselle" in Havana. Photo by Quinn Wharton. How do you approach the pacing of the story in order to internalize and dance it? SA: You have to work at studying it. At first, Giselle resists Albrecht because she is humble, and doesn't see herself meriting anyone's attentions in quite this way. It changes for her when she sees that Hilarion is jealous. She realizes that because of her social class, she doesn't know, and nobody she knows has ever encountered, such people as Albrecht and his aristocratic entourage. But little by little, she internalizes what has happened, and retreats into the corner to be with her mother to safely absorb it. At that moment, I try to concentrate on feeling all alone onstage in the midst of all the confusion. I live in that feeling of solitude. GM: In the second act, Giselle is trying to protect Albrecht, and she's suffering at the same time. The music inspires the movement and emotion, and in it there is everything you need to do with your body. It all starts inside of you, you just have to figure it out. It remains a process and that is the interesting part: It is never-ending. 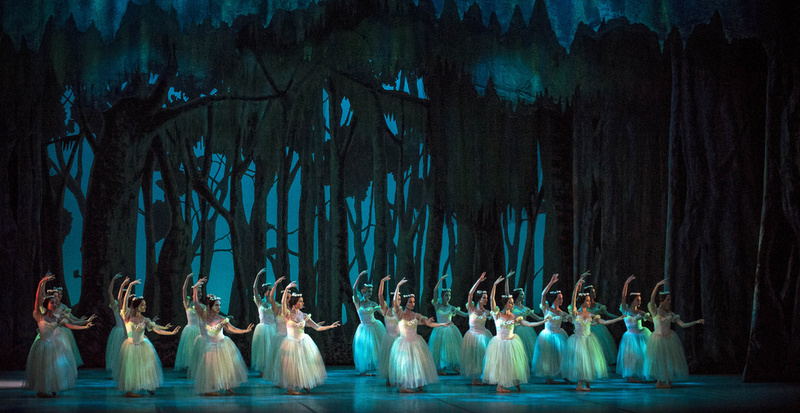 Artists of the Cuban National Ballet in "Giselle." Photo by Carlos Quezada, Courtesy SPAC. Having mastered the classical ballet repertoire, what else would you like to perform? SA: Because our repertoire is limited to the classics, there are many other ballets I would like to dance. At the last international festival in Havana, I was fortunate enough to dance the last pas de deux in John Cranko's Onegin, and I would like to dance the whole ballet, as well as Manon and Lady of the Camellias. I love ballets that demand a lot of dramatic interpretation. I'd like to dance Cranko's ballets, especially Romeo and Juliet, and William Forsythe's in the middle somewhat elevated. That ballet interests me particularly because it takes place in a dimension that is not real life and poses challenges to the imagination about a different one. GM: I would like to dance the works of Jiří Kylián and Kenneth MacMillan. What was it like to dance for U.S. audiences? SA: Everywhere we danced, we received a very warm response. In Tampa, the curtain calls were so lovely because they went on so long, and Tampa has a longstanding relationship with Cuba going way back to its founding. In Chicago, we danced Don Quixote and were surprised that the applause lasted even longer than in Cuba, which is our most enthusiastic audience. I especially like it when the applause is genuine, when it comes from the kind of people who don't know much about ballet and who can appreciate it in general. I have been so happy with this tour—it represents a high point in my career! GM: This went beyond all my expectations. I couldn't believe how explosive the applause was when I was taking my bow. To hear "Viva Cuba!" from this audience was a very emotional experience for me. 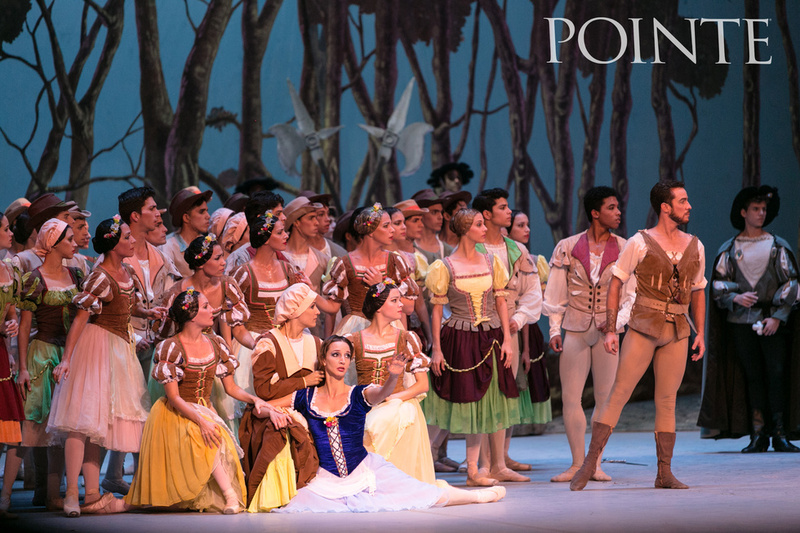 When we danced Don Quixote in Chicago, the audience laughed every time at the comic pantomime. In Giselle, it felt as if they were very connected to the dancer who was interpreting the role. This is the best thing for us! It sends us energy, and most important, it shows once again that the language of dance is accessible to everyone!